The fruit when ripen can be forced to open with a slight pressure by pressing it firmly with your thumbs. Be careful with the rind once opened. The purple juice is potent, as the stain on clothes is difficult to remove. If the fruit is unripe or overripe, it is it nearly impossible to open. It becomes as hard as a rock! The fruit has a very unique flavor – sweet and tinge of sour taste, it is bold yet completely delicate. The taste of this fruit is heavenly. You don’t want to stop eating once you have the first taste. It is absolutely a magnificent fruit. If you have not tried it, don’t wait any longer. The fruit has small and medium-size seeds. If the seeds are small and soft, you can eat them too. To get the full health benefits of this wondrous fruit, try juicing the purple skin (this is where most of the health benefits come from). But a note of caution - the taste of the purple skin is extremely bitter and astringent - you will need to juice lots of carrots and apples along with maybe just one mangosteen fruit to make it drinkable. - if you want to know how many segments the fruit have, just simply count the number of sepal remnants at the bottom of the fruit. - to select the fruit, press very gently on the smooth rind to see if it is soft. Never buy the hard ones. - mangosteens with brown blotchy-looking skin but soft to press, it’s still okay to buy them. The mangosteen has been used as a folk remedy in Asia, Africa and South America for its multiple health benefits since hundreds of years. They have used the whole fruit to relieve their pains, to protect themselves from diseases, to increase their energy and to cure various other ailments. 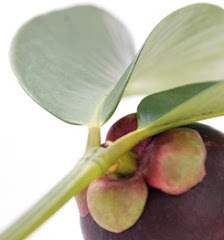 Until recently, mangosteen has been one of nature’s best kept secrets!